J. Miles Higginsis Founder and Board Chair of The Relocation Center, headquartered in St. Francisville, Louisiana. He previously served as Executive Vice President of the Bank of St. Francisville. Miles graduated from Louisiana State University with a Bachelor of Science Degree in Business Administration and Minor in Communications. 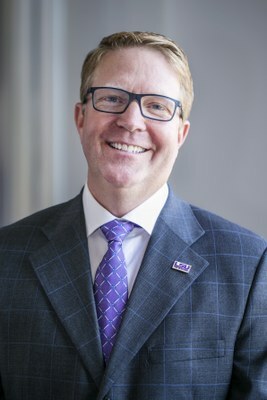 He is a 2012 Graduate of LSU’s Graduate School of Banking, serving as Class President. He has served on numerous boards and councils in the Greater Baton Rouge area in a multitude of leadership positions, including Forum 35, Rotary Club of St. Francisville, Baton Rouge Uncorked, Feliciana Tennis Community, West Feliciana Sports Complex, Community Development Foundation, Julius Freyhan Foundation, Baton Rouge Area Chamber, The Baton Rouge Assembly and US Strategic Capital. He also served on the Business Retention and Recruitment Advisory Committee on the Bobby Jindal Transition Team. Miles and his wife have served as the Co-Chairs of Les Amis des Etudiants of the Ogden Honors College since 2016. Miles is the recipient of the National Leadership Award by the National Republican Congressional Committee and Greater Baton Rouge Business Report’s Top 40 Under 40 distinction (2001). Miles is married to Michelle “Missy” Meaux Higgins. They have three daughters, Maggie, a current Ogden Honors Student, Landry, and Lilly.